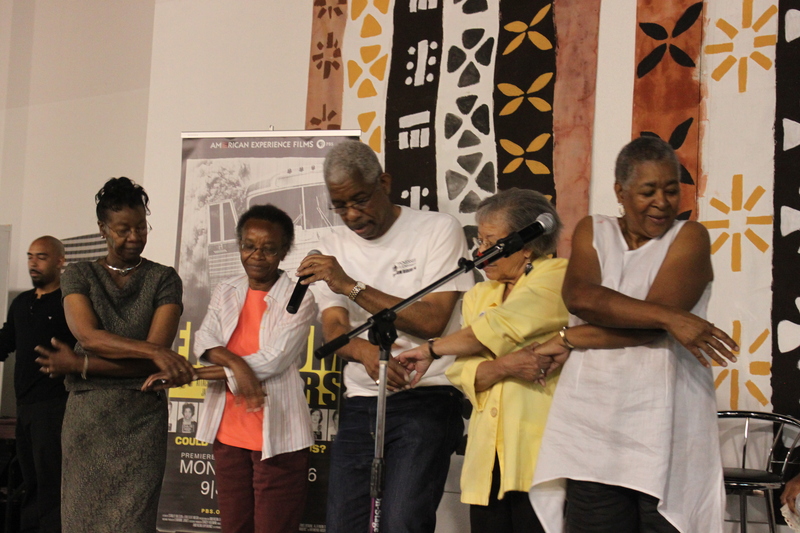 Monday night, I had the honor and privilege to bear witness to some of the original Freedom Riders as they “finished the ride” they began in May of 1961. 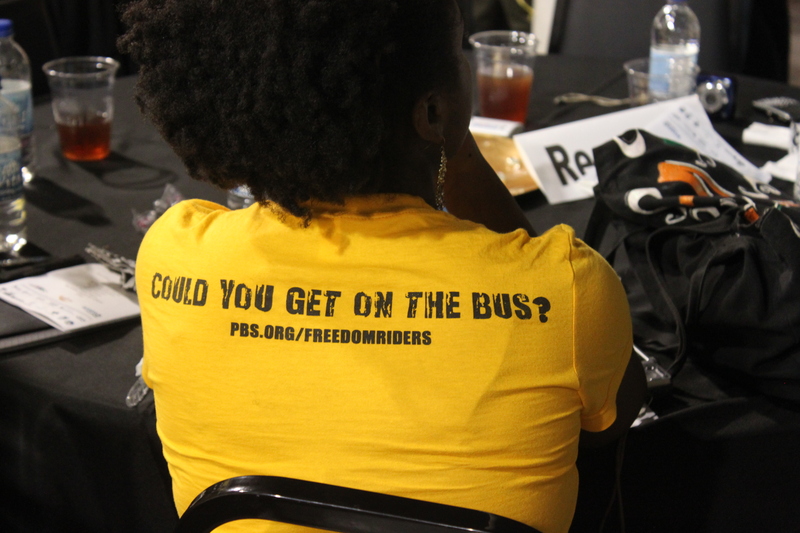 These riders were joined by forty student riders, college students who were selected from over a thousand applicants to be part of this historic reenactment of the 1961 Freedom Rides. In 1961, a group of riders–a mix of young men and women, black and white–gathered in Washington D.C. to undergo training for the ride they would take together on Trailways and Greyhound public buses through the Deep South. The training was so they would be able to remain nonviolent even when met with violence. They expected the ride to take two weeks and to arrive in New Orleans on May 16, 1961. Met with brutal violence in Alabama, the riders found themselves beaten and stranded in Montgomery, with no drivers willing to continue. The group was at an impasse and forced to abandon their journey. But unbeknownst to them, other groups had already begun to follow their lead. These groups got as far as Jackson, Mississippi before they were met with arrests and jailtime. No group ever made it the full way to New Orleans. But it was these riders, their insistence on traveling together and integrating public buses that led to the ICC ruling that segregation on interstate buses and facilities was illegal. I arrived when the bus had already pulled up and the Freedom Riders were recounting stories from their time riding. After, doves were released in honor of the riders and in memory of those who had passed on. The number of stitches required after beatings were recalled (in one case, 57). As were the words spoken by those who rode. The names of cities infamous for tear gas, for burning buses, for beatings delivered with iron pipes, baseball bats, crowbars. Anniston. Birmingham. Montgomery. Before heading off, these young people, in their teens and twenties, had written goodbye letters to their parents, had signed their last will and testaments. They understood that to get on those buses together was to put their lives on the line, and they did it anyway. They did it because the stakes were that high; the riders knew the stakes were that high because injustices were being done, over and over again. Black people being told they weren’t allowed. They weren’t good enough. These young people knew that lunch counters and bus rides were just individual, smaller deaths: a slow, lifelong version of hanging from a rope in an oak tree. Their strength, their tenacity, the grace and integrity with which they conducted themselves and their action reminds me of the young students in Tucson, Arizona today who are fighting relentlessly to save their ethnic studies classes, classes that study the history of where they come from and that flesh out a holistic picture of the people who make up this country of ours. These students are insistent. They refuse to be ignored. But they too are committed to nonviolent resistance. They use the power of their words and their bodies but they do so in ways that do not harm others. Their actions are underwritten with the same mindset as the Freedom Riders: we understand the harm that has already been inflicted over and over again. We will fight for our rights, but we will not continue the violence, will not continue to be part of this cycle of harm. Student Freedom Riders Sing "A Change Is Gonna Come"
After a blessing, the room scattered to eat from the buffet: gumbo and red beans, salad, fried chicken. A singer came to the podium and the keyboardist began to play. Immediately I recognized the bars I knew from the beginning my favorite Sam Cooke song. “I was born by the river, in a little tent.” And when she got to the end, and she got to the last “long time comin’,” she held the ‘long’. She held it for what felt like forever. The room held its breath. Then it cheered. Because she held that note a long time, because she made us feel what a long time comin’ felt like. That moment times a thousand, times a million. A long time feels like forever when oppression is involved, when you are under the thumb and the thumb weighs down like iron. A long time feels like forever when you are the oppressor and have to work so hard to forget you are human to be able to oppress. She kept singing: This Little Light of Mine, I Wish I Knew How It Would Feel To Be Free. 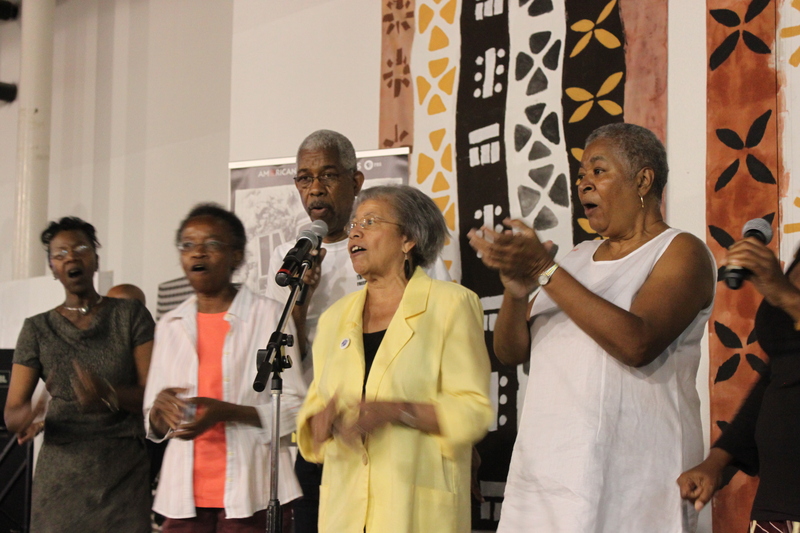 During Woke Up This Mornin’ (With My Mind Set on Freedom), some of the Freedom Riders joined the singer on stage and sang. I was particularly impressed by Ernest “Rip” Patton, Jr. who solidly held down the bass line. Then, Smith-Simmons talked about We Will Overcome as the soundtrack of the movement. And the riders on stage crossed their arms across their bodies and joined hands. There was such an ease about this joining, a sort of familiarity with each other and with that gesture, their bodies slipping into muscle memory. I could imagine the eighteen-year-old versions of themselves doing the same gesture, over and over again. I joined hands with a middle-aged African-American woman to my left and a middle-aged African-American man to my right. During different points in the song, we squeezed each other’s hands. I let myself sing and really listen to the words. I let myself feel the passion in the voices of those around me. This wasn’t a Hallmark moment. This was a moment born from grit and determination and struggle. 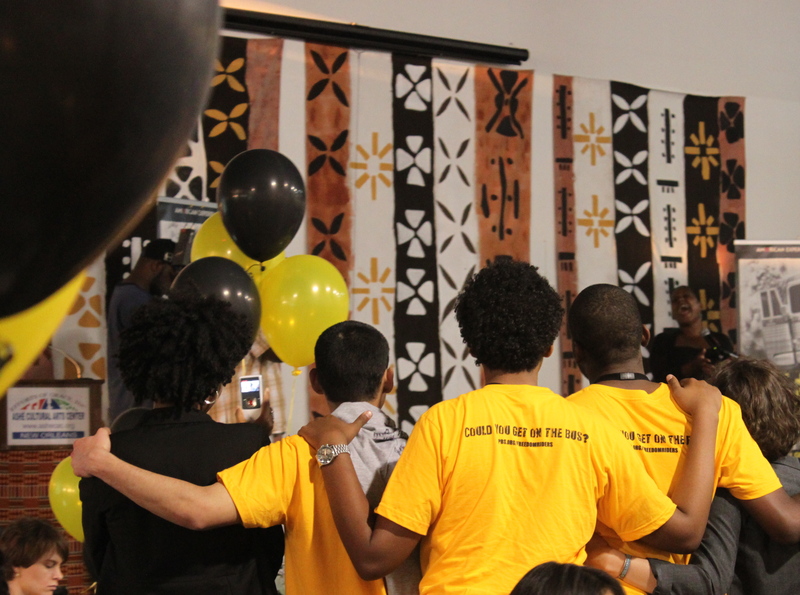 This was a moment in which everyone in the room was aware of the struggle, the struggle that is not finished, and yet was able to celebrate and able to say: despite the racism that still exists, the injustice that still abides within our communities, the prejudice we harbor in our own minds and hearts, we shall, we shall, we will overcome someday. I grew up in a city that was sixty percent black, but the city I grew up in always appeared to be white. The textbooks I read told me the history of white people in Louisiana. The people in my neighborhood were all white. Most of the children at my school were white. Despite being surrounded in my hometown by black people, by black culture, I knew almost nothing about the history of black people in my state, and in the South period. I remember the time in high school spent memorizing the names of dead presidents more than I remember learning about the Civil Rights Movement. It wasn’t until I lived other places that I was able to fully understand the reality of segregation in New Orleans. I always had this feeling in the pit of my stomach that something was not right, the black neighborhoods and the white neighborhoods, the way some of my friends’ parents discussed certain streets or blocks in hushed tones, the locking of car doors when a dark-skinned man was standing at a stoplight. But I had to go outside of my city to realize the way in which its people are divided and to realize the role I myself play in that division. When I worked at a community center serving a largely African-American community in the Lower Garden District in my twenties, I remember having a conversation with one of the patrons who came in. He asked me where I was from. I told him I was from here, I grew up Uptown. And he laughed and replied, Oh, you’re not from New Orleans. He was right. My New Orleans wasn’t his. His New Orleans wasn’t mine. Since my early twenties, I have worked hard to try to really see my city and all its people, to fill in the gaps and better understand my hometown as it truly wholly is. 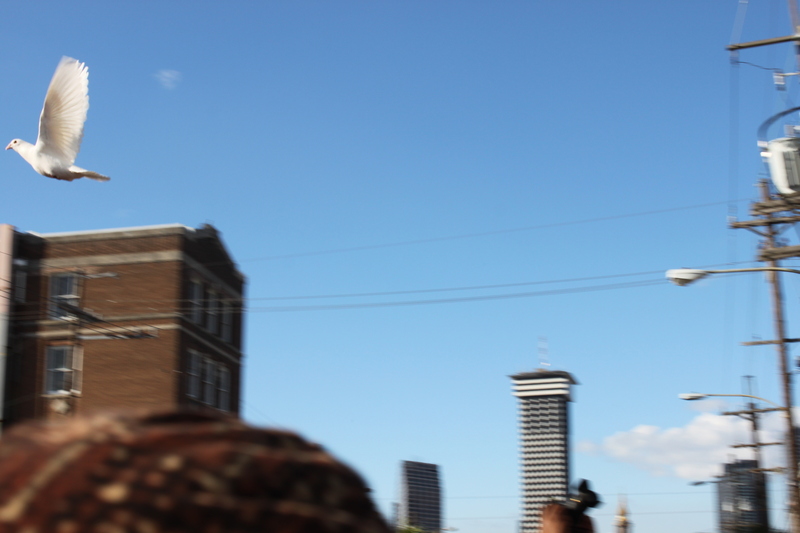 And I will admit that night, even as I was surrounded by the New Orleans community, I felt alone, out of place. I had gone by myself after not finding someone to come with me. I haven’t lived in New Orleans for seven years now so don’t have the same network I used to. But the real discomfort, the real feeling of being alone, came from the fact that I was back in my divided hometown and I was among a few white people there, maybe twenty to thirty of the hundreds. My discomfort came from feeling that although this historic event held significance for all Americans, all Southerners, all New Orleanians, it belonged less to me, and I needed to be respectful and conscious of this. I found it hard to navigate my place in this room. I still struggle, whenever I am home, to navigate my place in the city, now that I know its history better. The discomfort and dissonance I felt is a necessary part of the process. That’s what I constantly ask of my students, to feel the cognitive dissonance with the texts we read, the films we watch, the conversations we have, and to engage anyway. The only way we will learn to understand each other as individuals is to stay through the anxiety and discomfort. To stand respectfully, with an intent to listen and engage, and to stay. 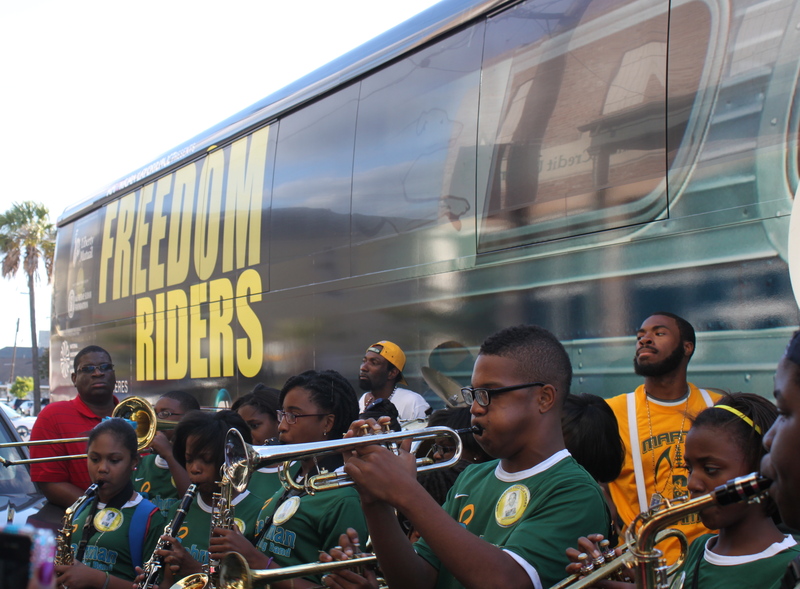 Original Riders Sing "Woke Up This Mornin'"at 2011 Freedom Ride. I am embarrassed at how little I knew about the Freedom Riders before I watched the documentary (which is amazing and artfully done. You can watch it here: Freedom Riders). I knew there were buses. I knew there were people, both black and white, on them. I knew they came through the South and were confronted with terrible violence. But the details of the movement, of the ride, I knew nothing of these. The documentary Freedom Riders recounts history and retells the stories of the Freedom Riders a half a century later. The film contextualizes the rides within the movement and spends time documenting each day of the trip, each group of riders, each mob that attacked them. Along with footage of the ride and the riots, the film spends the majority of time telling the stories of the riders, officials, and local residents, people who were personally affected by the rides. What I was struck by in watching the documentary even more than the violence endured by the riders was their undeniable spirit, their belief that they would overcome and that they needed to be a part of this process of overcoming. That transformed into: “You better get ready, oh yes. You better get ready, oh yes,” and when the jailers, fed up, told them to stop, they thought amongst themselves, What are they going to do, put us in jail? When the guards threatened to take away their mattress if they didn’t stop, the song became: “You can have our mattress, oh yes. You can have our mattress, oh yes…” Then it was the toothbrush, and after some deliberation, they kept on singing: “You can have our toothbrush, oh yes.” One rider joked that they learned to sing with their mouths closed to protect each other from their foul breath. I was inspired by their levity, by their sense of humor even in the midst of such a dour situation, being imprisoned merely for trying to take public transportation, being denied basic rights because of the color of their skin. And in the face of all of this, continuing to defy authorities who were wrong and doing so with humor. 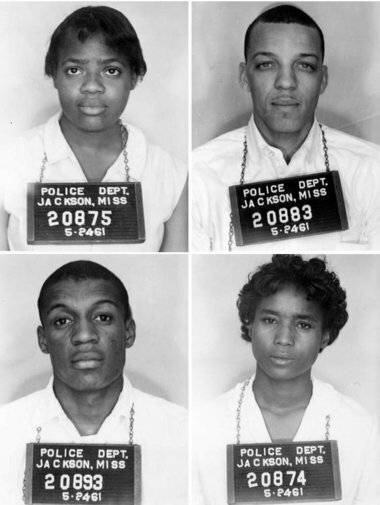 I was inspired by the Freedom Riders, many of them the first of their families to go to college, who left Fisk University at the end of the semester, dropping out because this ride was more important. I was inspired at the way the riders talked about Parchment Jail becoming a sort of university of nonviolence, where they engaged with each other in discourse about the movement, about how to make change nonviolently. It was powerful to watch this documentary amongst my fellow New Orleanians, to engage in this part of history together. I am humbled by the bravery of these young men and women who, despite the danger, despite criticism even initially from many within the movement itself, put their bodies and their lives on the line for justice, for freedom. I cannot even imagine what they must have been feeling as they sat on buses and watched mobs of people outside, who cursed them. People who were holding weapons and were set on killing them. The feeling of being left with no protection, abandoned by their own country. This is a reminder to me to never forget those who have made sacrifices in the name of justice. It reminds me to aspire to be more like them, to harness their example as a way to inspire bravery and action in myself to continue the ongoing work for justice in my communities and my world. It reminds me that this is work I need to pay attention to, that I need to engage in every day of my life. One of the student riders in the Freedom Rider renactment of 2011. Lisa: not only are you a wonderful writer, but a gorgeous photographer, too!